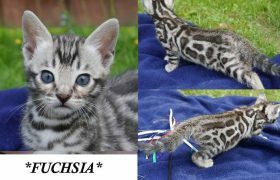 Lurch – Silver Rosetted Male Bengal Kitten Stud : BengalScape Ocelot Queen : KotyKatz Argyria Availability : No longer available. This whole litter has Beautiful rosetting and acreage with wonderful patterns! Check back to see them grow! 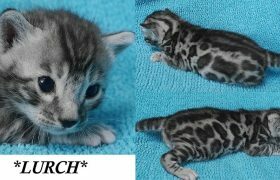 Newsletter If you would like to receive updates on this or any of our other kittens, please sign up to be added to our newsletter and notification list. If you have any questions please feel free to contact us. 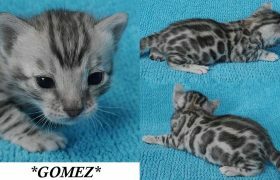 Gomez – Silver Rosetted Male Bengal Kitten Stud : BengalScape Ocelot Queen : KotyKatz Argyria Availability : No longer available. 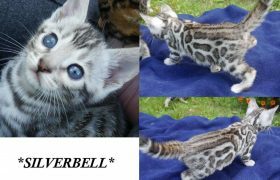 This whole litter has Beautiful rosetting and acreage with wonderful patterns! Check back to see them grow! 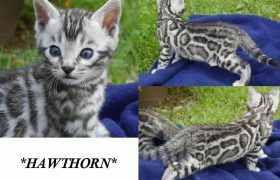 Newsletter If you would like to receive updates on this or any of our other kittens, please sign up to be added to our newsletter and notification list. If you have any questions please feel free to contact us. 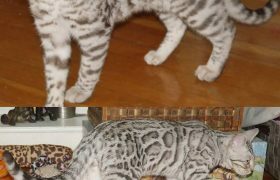 Wednesday – Silver Rosetted Female Bengal Kitten Stud : BengalScape Ocelot Queen : KotyKatz Argyria Availability : No longer available. This whole litter has Beautiful rosetting and acreage with wonderful patterns! Check back to see them grow! 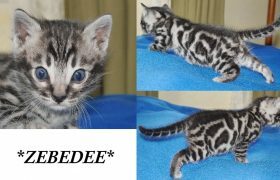 Newsletter If you would like to receive updates on this or any of our other kittens, please sign up to be added to our newsletter and notification list. If you have any questions please feel free to contact us. 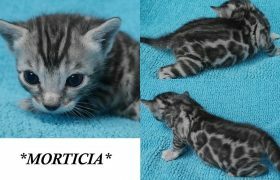 Morticia – Silver Rosetted Female Bengal Kitten Stud : BengalScape Ocelot Queen : KotyKatz Argyria Availability : No longer available. 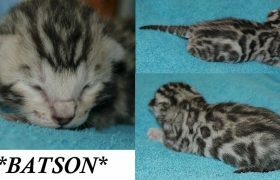 This whole litter has Beautiful rosetting and acreage with wonderful patterns! Check back to see them grow! 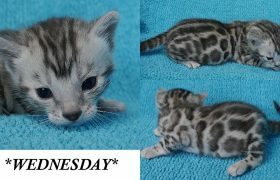 Newsletter If you would like to receive updates on this or any of our other kittens, please sign up to be added to our newsletter and notification list. If you have any questions please feel free to contact us.